- Performed many lid reconstructive surgeries, ptosis correction, Lacrimal sac surgeries, orbitotomies and exenteration. - Evaluation and management of intraocular tumors especially retinoblastoma. - Performed many periocular and Facial Rejuvenation procedures like Blepharoplasty. - Botox and Filler injections. - Trained in the use of state of the art equipments like Radiofrequency Cautery - Ellman Surgitron, Stryker Saw for orbitotomy, Retcam for fundus photography. - Performed FFA, USG, Nd YAG laser procedures, corneal topography, specular microscopy, biometry, aqueous tap and Humphrey's automated perimetry. - Performed more than thousand cataract surgeries; including extracapsular, small incision and phacoemulsification procedures. - 'BIOPORE Porous Orbital Implant for the management of Post Enucleation Anophthalmic Socket' - A multicentric Study. As a participating investigator for Biopore Orbital Study Group. - Adenoid Cystic Carcinoma of lacrimal gland in Asian-Indian population. - Analysis of atypical presentations of Retinoblastoma. - Computer assisted corneal topography in selective suture removal in post penetrating keratoplasty. - Panelist and Speaker in Leadership Development Program at All India Ophthalmological Society (AIOS) in Feb 2018. - Faculty Lecture as debate on 'Skin Approach in Ptosis Correction Surgery' at All India Ophthalmological Society (AIOS) in Feb 2018. - Guest Lecture at Punjab Ophthalmological Society (POS) at Faridkot in Dec 2017. - 'Ptosis of Inflammatory Origin' Guest Lecture in Chandigarh ophthalmological Society COS in Nov 2017. - 'Ptosis - All is not Congenital' Guest Lecture in Haryana ophthalmological Society HOS in Nov 2017. - 'Imaging of Orbital Disorders' Guest Lecture in Chandigarh ophthalmological Society COS in Nov 2017. - 'Botox Preparation and injection Techniques' A Video Assisted Skill Transfer (VAST) Course in Chandigarh ophthalmological Society COS in Nov 2017. - Chairperson of Innovators Session and Oculoplasty Update in North Zone Ophthalmological Society (NZOS) In Oct 2015. - 'Periocular Flesh eating Bacteria' And ' Lids and Adnexal Injuries' At COS in Sep 2015. - 'Diabetes related Oculoplastic Disorders' presentation in CME on Crusade Against Diabetic Blindness on 28th June 2015 at Palampur (HP). - 'Necrotizing Fascitis' A Rare Case Scenario and ' Watering eyes what not to miss' Papers at First Mid Term Conference of OPAI at Pune on 7th June 2015. - Instruction Course On 'Socket Anomalies' at ALL India Ophthalmological Society (AIOS) in Feb 2015. - 'Debate on evisceration in Panophthalmitis with Primary Vs Secondary Implant' at Delhi Ophthalmological Society DOS MIDTERM conference. - 'Systematic Approach to Epiphora' and ' evaluation of ptosis and Decision making' Guest Lectures in North Zone Ophthalmological Society (NZOS) in Oct 2014. - Chairperson of a Trauma Session and Presented Guest Lectures on 'Choice of Implants' and 'Approach To a patient of Proptosis' at Asia Pacific Society of Ophthalmic Plastic and Reconstructive Surgery (APSOPRS) And Oculoplastic Association of India (OPAI) at New Delhi on 29th Sep 2014. - 'Cosmetic Rehabilitation of Blind Eyes' Guest Lecture at OCUTRON 2014 - National Conference Of OTSI. - 'An Eye Saved Life' Paper in COS in 2014. - 'Approach to a patient of Proptosis' Lecture presented at 23rd Annual Conference of Oculoplastic Association of India - Balle OPAI, Organized at Hotel Radisson Blu, Amritsar from 26-28th October 2012. - Performed Live Surgery of 'Upper Lid Entropion Correction' at 22nd Annual Conference of Oculoplastic Association of India (OPAI), at Kanpur, UP, in Nov 2011. - 'Central Retinal Artery Occlusion (CRAO) Following DCR' A case presentation at 22nd Annual Conference of Oculoplastic Association of India (OPAI), at Kanpur, UP, in Nov 2011. - 'Cosmetic Rehabilitation Of Blind Eyes' Guest Lecture at Annual Conference of North Zone Ophthalmological Society, Kangra, in September 2011. - 'Tarso-Frontal sling surgery -Use of Silicon Rod' Video Assisted Skill Transfer at Annual Conference of North Zone Ophthalmological Society, Kangra, in September 2011. - 'Gold Weight Implant for Management of Lagophthalmos' Video Assisted Skill Transfer (VAST) at Annual Conference of Chandigarh Ophthalomological Society, Chandigarh in August 2011. - 'Intersting Case of an Orbital Tumor' at Annual Conference of Chandigarh Ophthalomological Society, Chandigarh in August 2011. - 'DCR - Dacryocystorhinostomy made easy' Video Assisted Skill Transfer (VAST) at Thind Eye Hospital, Jalandhar on 3rd April 2011. - 'Gold weight implants - New way to manage lagophthalmos'. Guest lecture at Thind Eye Hospital, Jalandhar on 3rd April 2011. - 'Dry Eye - A Multifactorial Disease' Key Speaker of CME at Amritsar on 18th Mar 2011. - ' LASER DCR - Transcanalicular Laser DCR'. Guest Lecture at All India Ophthalmological Conference (AIOC) - January 2010 at Kolkata, West Bengal, India. - 'Management of Lid and Canalicular tear'. Guest lecture at Oculoplastic Association of India (OPAI), at Ahmedabad, Gujarat in Nov 2009. - 'Gold weight implants - New way to manage lagophthalmos'. Guest lecture at Oculoplastic Association of India (OPAI), at Ahmedabad, Gujarat in Nov 2009. - ' Botox in Ophthalmology'. Guest lecture at Oculoplastic Association of India (OPAI), at Ahmedabad, Gujarat in Nov 2009. - ' Dacryocystorhinostomy - A debate on External / Endonasal / Laser : which is the best' Refree and final speaker for the session, at All India Ophthalmological Conference (AIOC) - January 2009 at Jaipur, Rajasthan, India. - 'Frontalis Sling - Fascia Lata Vs Synthetic Materials '.Guest lecture at Oculoplastic Association of India (OPAI), at Artemis Hospital, Gurgaon in Nov 2008. - 'Tarso-Frontal sling surgery -Use of Silicon Rod' Video Asisted Skill Transfer at Annual Conference of Chandigarh Ophthalmological Society 2008, Chandigarh. - CME on Oculoplastics - Main speaker for Amritsar Academy of Ophthalmology on 24th May 2008. - CME on Oculoplastics - Organizing Secretary and main speaker, on 24th April 2008, at Grewal Eye Institute, Chandigarh. - 'Challenging Orbital Cases' Instruction course at All India Ophthalmological Conference (AIOC) - January 2008 at Bangalore, Karnataka, India. - 'Ocular Rhinosporidiosis in Central India' at All India Ophthalmological Conference (AIOC)- January 2008 at Bangalore, Karnataka, India. - 'Ptosis, Pseudoptosis and Proptosis - A case report' at Chhattisgarh State Ophthalmological Society (CSOS) annual conference, Bilaspur, December 2007. - 'Tarso-Frontal sling surgery -Use of Silicon Rod'. Video presentation at Vidharbha Ophthalmological Society Conference (VOSCON), at Akola November 2007. - 'Botulinum Toxin - Therapeutic and Cosmetic use in Ophthalmology' Video presentation at Vidharbha Ophthalmological Society Conference (VOSCON), at Akola November 2007. - 'Entropion and Ectropion' Guest Lecture at Vidharbha Ophthalmological Society Conference (VOSCON), at Akola November 2007. - 'Lid Tear repair and Reconstruction'. Guest Lecture at Vidharbha Ophthalmological Society Conference (VOSCON), at Akola November 2007. - 'CRAO following DCR - A case report' at Chhattisgarh State Ophthalmological Society (CSOS) annual conference, Jagdalpur, December 2006. - 'Ultrasonography in Orbital Diseases'. Lecture at workshop on Ultrasonography in ophthalmology by Raipur Divisional ophthalmological Society, November 2006. - 'Dermis Fat Graft - A technique'. Lecture at Annual conference of Oculoplastics Association of India (OPAICON-2006), at Lucknow, 28-29 Oct 2006. - 'Tarso-Frontal sling surgery -Use of Silicon Rod'. Guest lecture at Delhi Ophthalmological Society (DOS) annual conference, New Delhi, April 2006. - 'CRAO following DCR - A case report' at Delhi Ophthalmological Society (DOS) annual conference, New Delhi, April 2006. - 'Orbital Tumors in India- A Clinico-pathological correlation' at All India Ophthalmological Conference - 2006 at Bhopal, Madhya Pradesh. - CME on Lids and Orbit - Guest Speaker, Amrawati, Maharashtra. - 'Adenoid Cystic Carcinoma of the Lacrimal Gland: Management and Outcome' at All India Ophthalmological Conference - 2005, Bhubaneshwar, Orissa. - 'Clinical Approach to Orbital Tumors.' Guest lecture in Indian Association of Pathologists and Microbiologists - AP State chapter, Rajamundhari, Andhra Pradesh, September 2004. - 'Ultrasonography in Orbital Diseases' Presentation at SAARC conference 2008, at New Delhi. - 'Periocular Rhinosporidiosis' Guest lecture at Cutting Edge 2007; Joint Meeting of the Oculoplastic Association of India & Asia Pacific Society of Ophthalmic Plastic and Reconstructive Surgery, at Hyderabad, India, December 2007. - 'Clinical and Histopathological Analysis of Orbital Tumors' at American Society of Plastic and Reconstructive Surgery, New Orleans, USA, 2004. - 'Adenoid Cystic Carcinoma of the Lacrimal Gland - Management and Outcome' in 2004 Joint Meeting of American Academy of Ophthalmology and European Society of Ophthalmology (AAO & SOE), New Orleans, USA, 2004. - 'Narcotizing fasciitis - an ophthalmic emergency' at Technology and Trends, Hyderabad, 2004. - 'Atypical presentations of Retinoblastoma' at International Congress of Ocular Oncology (ICOO), Hyderabad, 2004. - 'Unknown orbital tumor' International Congress of Ocular Oncology, 2004. - 'CRAO following DCR' at All India Ophthalmological Conference - Jan 2008 at Bangalore, Karnataka, India. - Milind Naik, Raman Mittal, Ramesh K Murthy, Santosh G Honavar. Chapter on 'Lacrimal Gland Tumors' for the Atlas on Orbital Tumors, Editor: M Subrahmaniyam. - Raman Mittal, Ravi Thomas, Milind Naik, Santosh G Honavar. 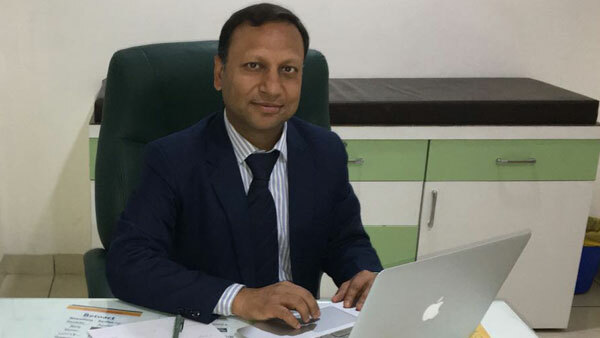 - A National Award has been Installed in the name of 'Dr Raman Mittal Best Paper Award' to be awarded to the Best Paper of the year in Young Oculoplastic surgeons since 2015. - Elected as Joint Secretary of Punjab Ophthalmological Society (POS), Nov 2017 - Nov 2019. - OTSI OCUTRON 2014, Organized at SGRD Med College, Amritsar from 6-7th September 2014. - Balle OPAI, Organized at Hotel Radisson Blu, Amritsar from 26-28th October 2012. - Re-elected for second term; as Joint Secretary of Oculoplastic Association of India (OPAI), Nov 2010 - Nov 2012. - Selected as Editor -in - chief for the Newsletter of Chandigarh Ophthalmological Society (COS), 2009-2011. - Elected as Joint Secretary of Oculoplastic Association of India (OPAI), Nov 2008 - Nov 2010. - Best free paper in Orbit section at AIOC- 2008, Bangalore. - Best free paper in Orbit section at AIOC- 2005, Bhubaneshwar. - Reached upto the finals of Col. Rangachari Award for best free paper at AIOC- 2005, Bhubaneshwar. - International Travel Fellowship awarded by the Council for Scientific and Industrial Research to attend the 2004 Joint Meeting of American Academy of Ophthalmology and European Society of Ophthalmology (AAO & SOE), New Orleans, USA; 2004. - Presentation well appreciated (scored highest) in XI International Congress of Ocular Oncology, 2004. - Zonal level participation in Xth IAP (Indian Academy of Pediatrics) Pediatric Quiz, 1997. - Science Talent Search Examination (STSE) scholarship award. - National Talent Search Examination (NTSE) scholarship award. - Orbital tumors. I am keen on acquiring surgical experience and learning newer techniques in the field of aesthetic and ophthalmic plastic surgery. I would like to build my Institute 'I- Plast' as one of the Best in state of the art Ocular and Plastic Surgery Facilities to the clients.